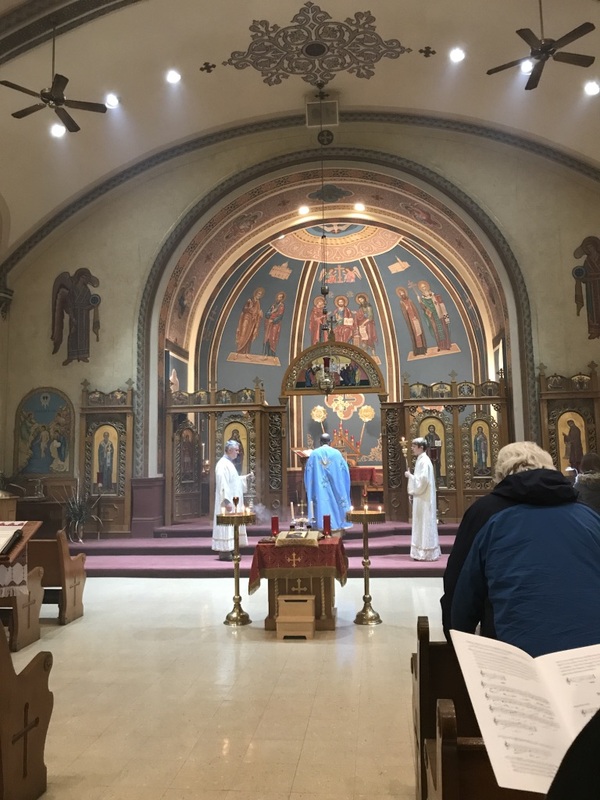 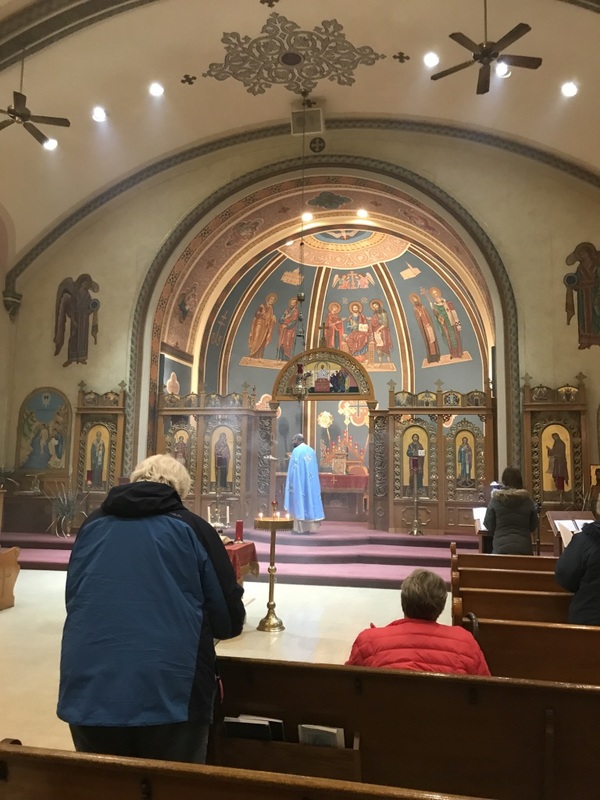 As always, we are very grateful to everyone who sent in their photographs of liturgies celebrated on the Immaculate Conception. 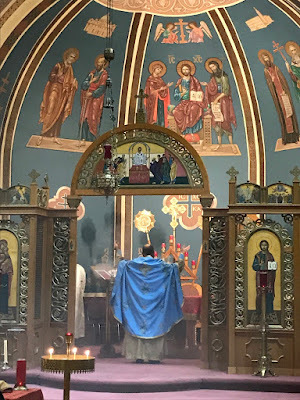 We have a good variety in this one, with several different countries represented, blue vestments being used in the Philippines and in a Byzantine liturgy, the Ambrosian Rite, and a Pontifical Mass. 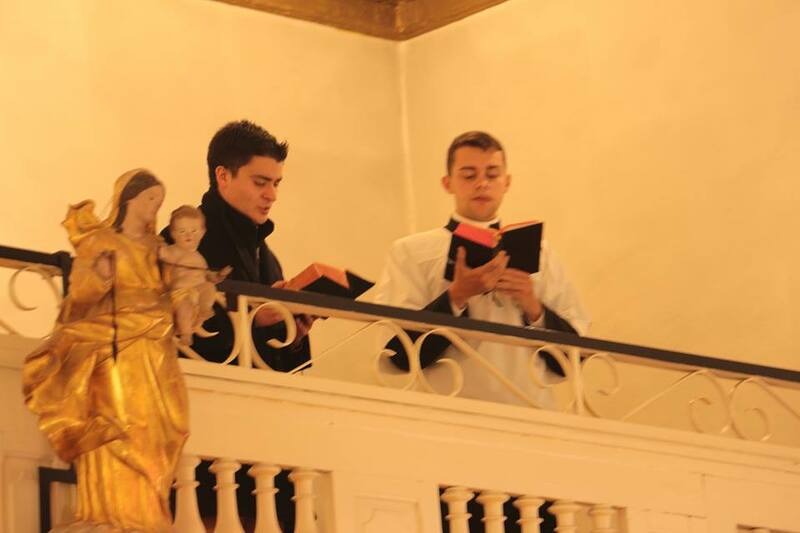 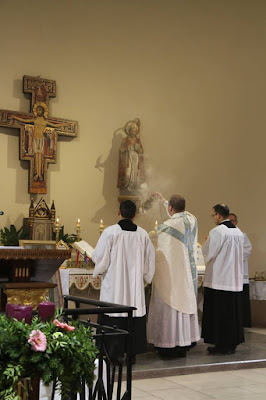 I also include here the Mass celebrated by our good friends of the Fraternity of St Joseph the Guardian on the feast of Our Lady of Guadalupe; although they are based in France, most of the members of the order are Chilean, and celebrate it as a patronal feast. 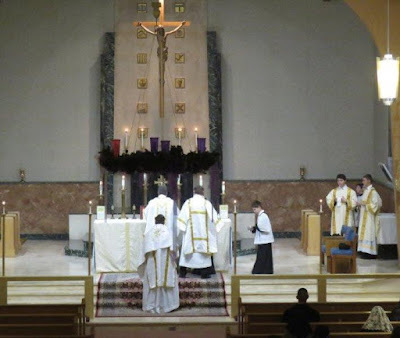 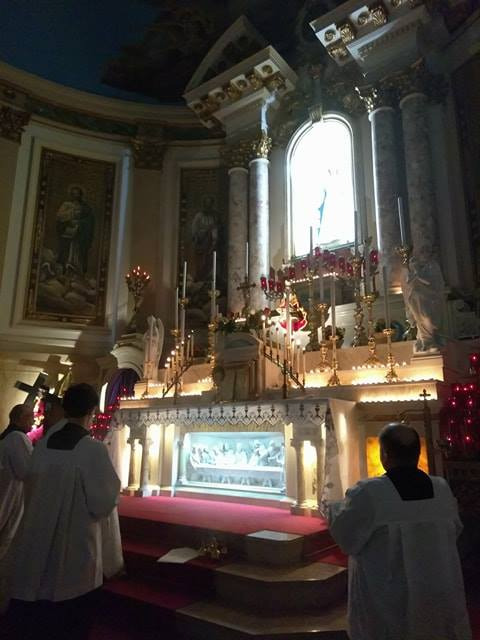 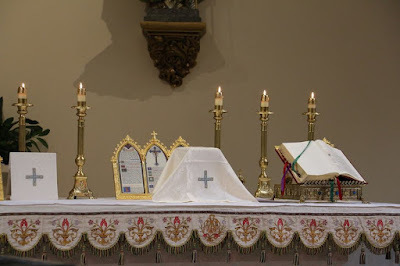 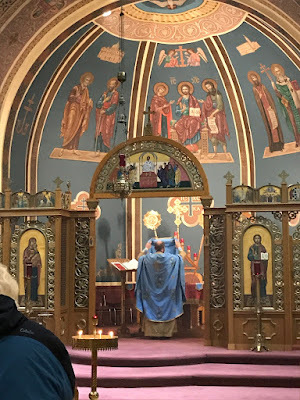 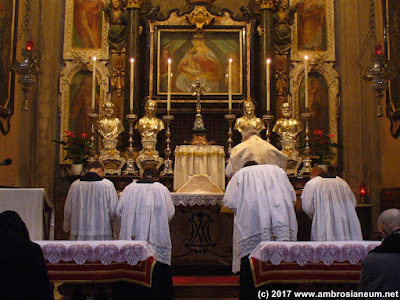 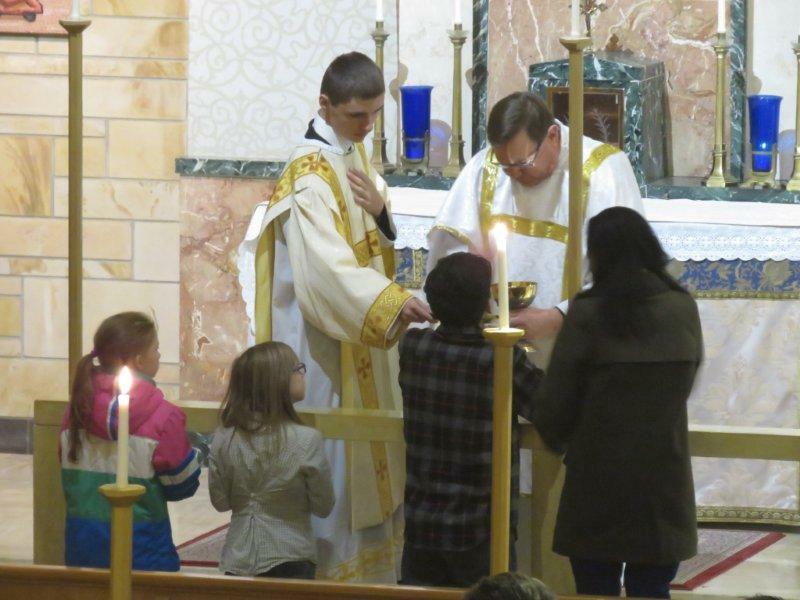 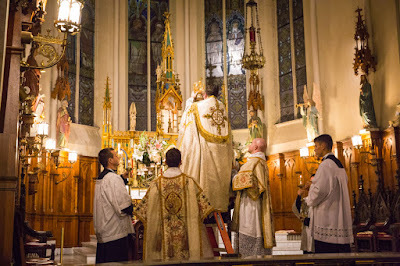 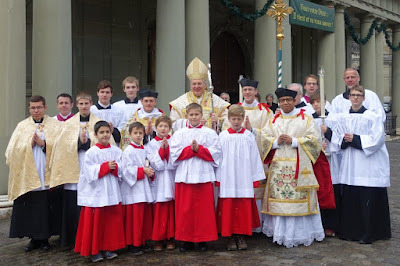 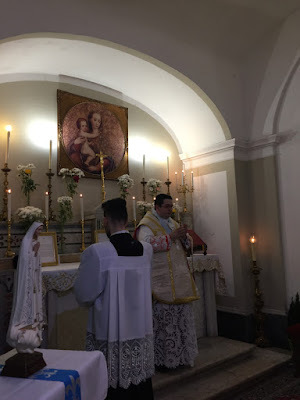 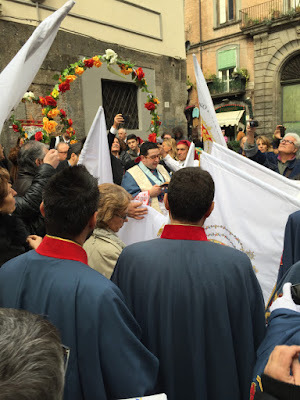 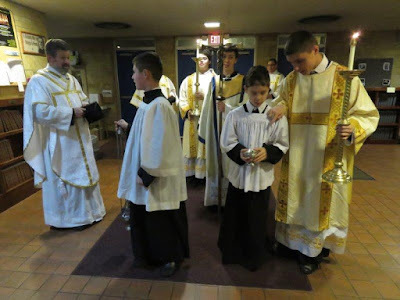 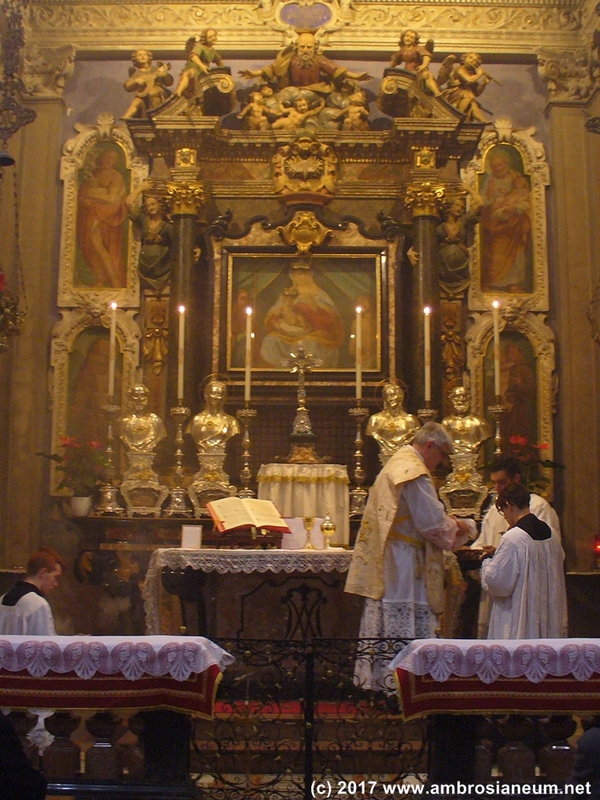 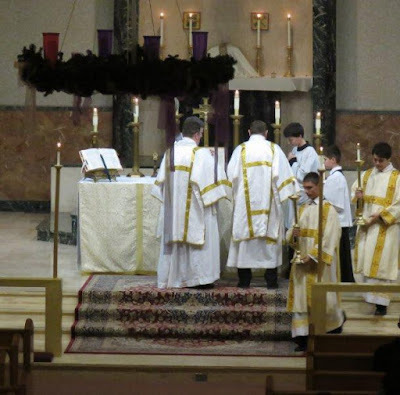 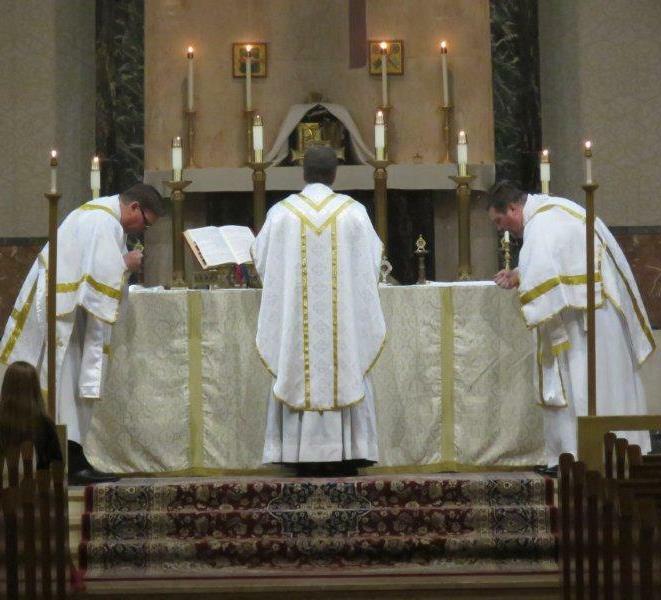 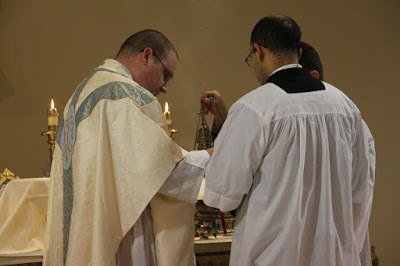 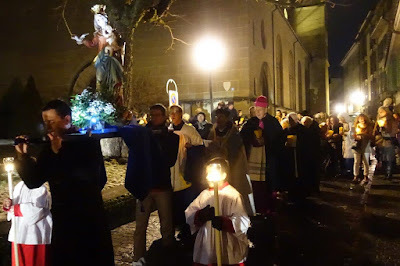 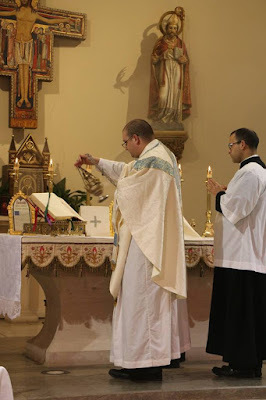 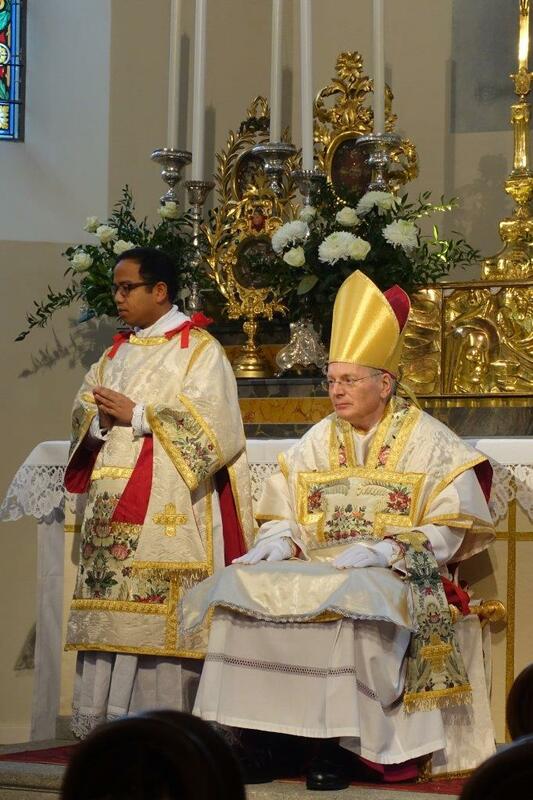 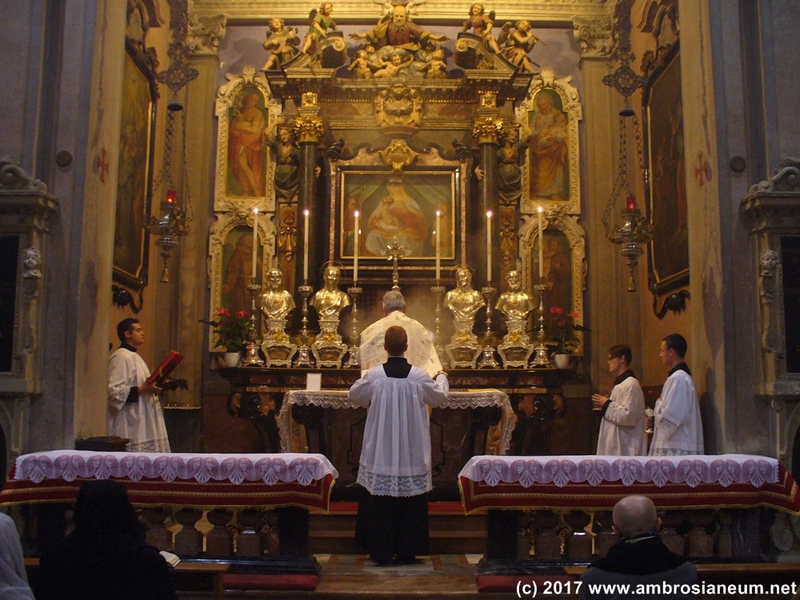 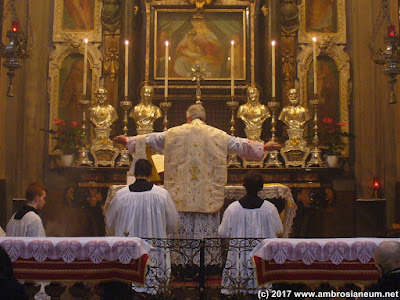 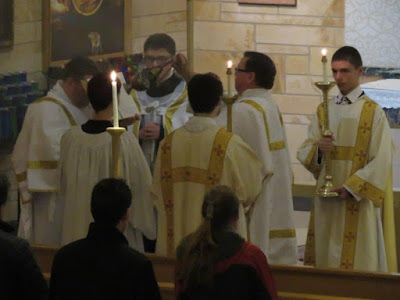 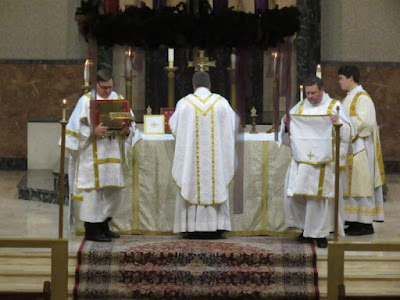 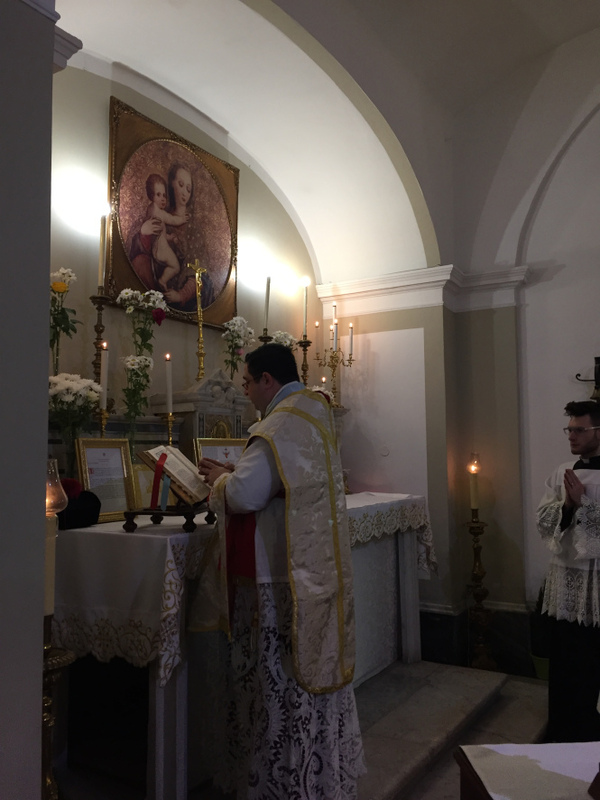 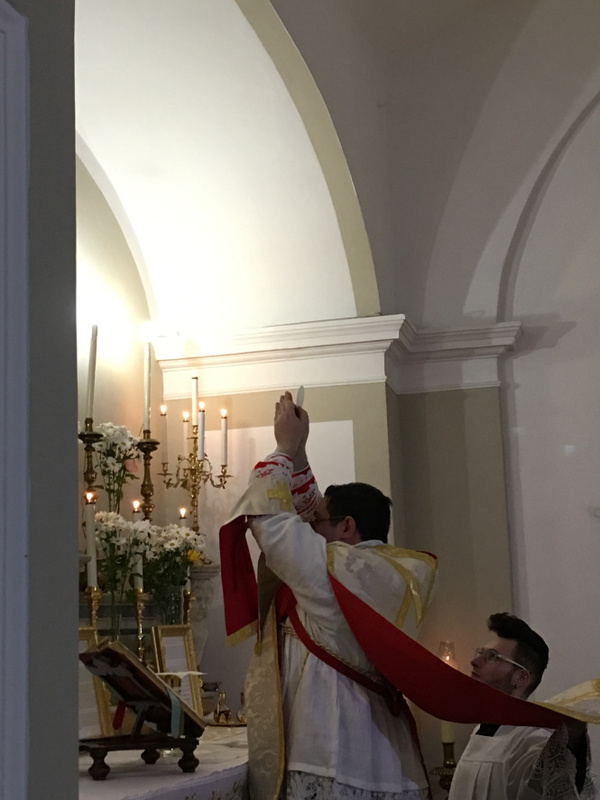 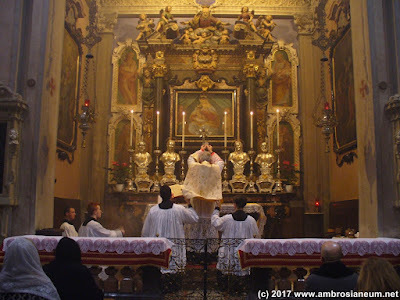 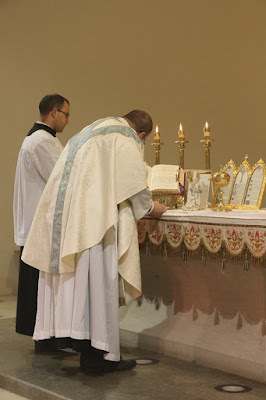 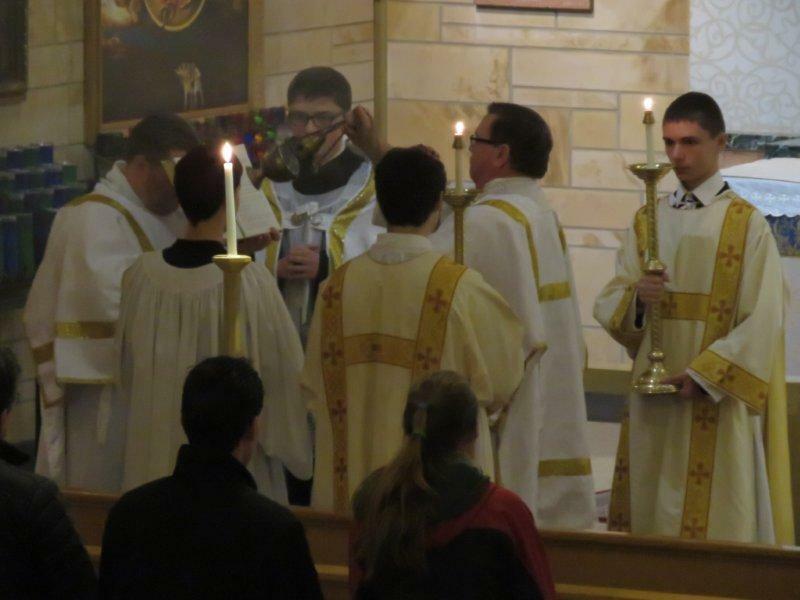 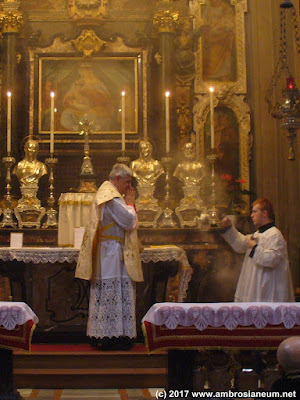 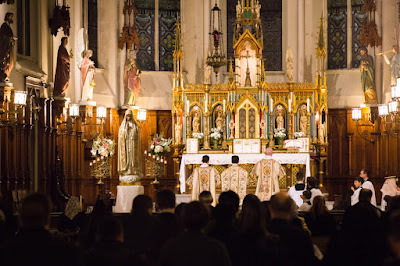 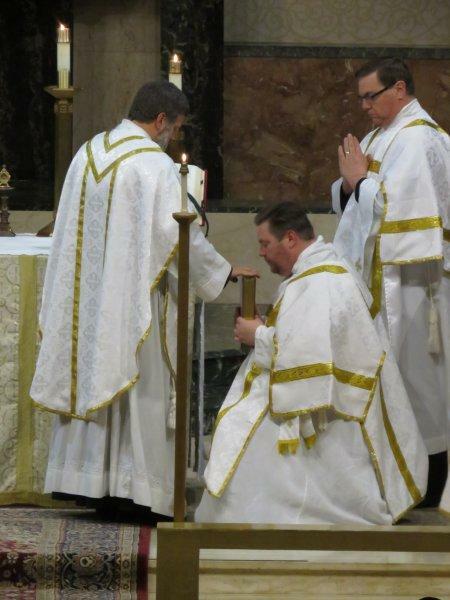 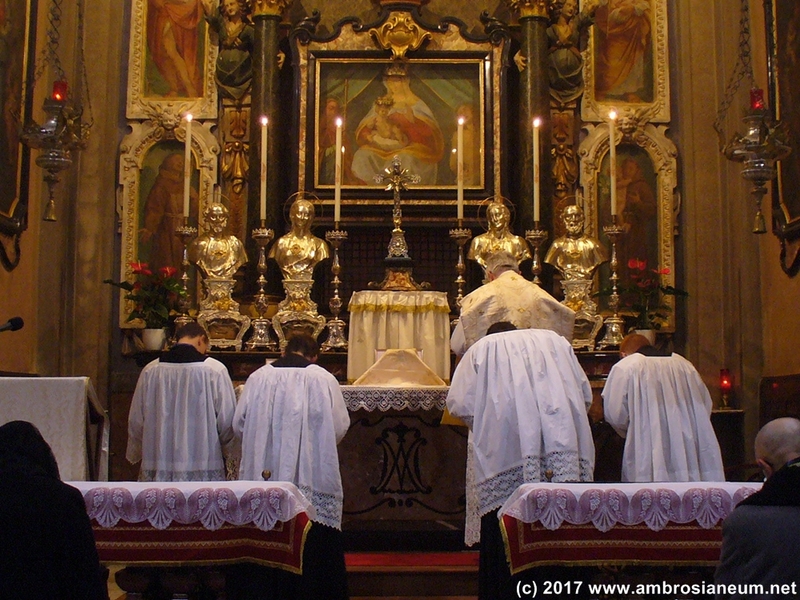 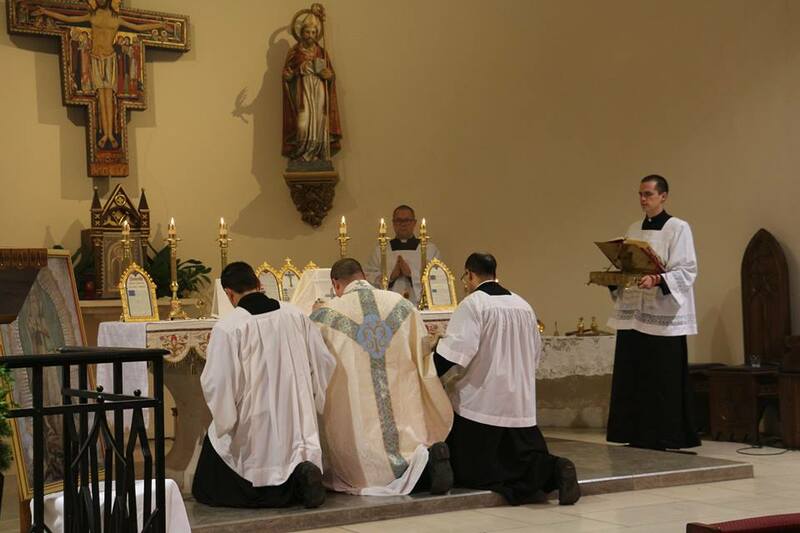 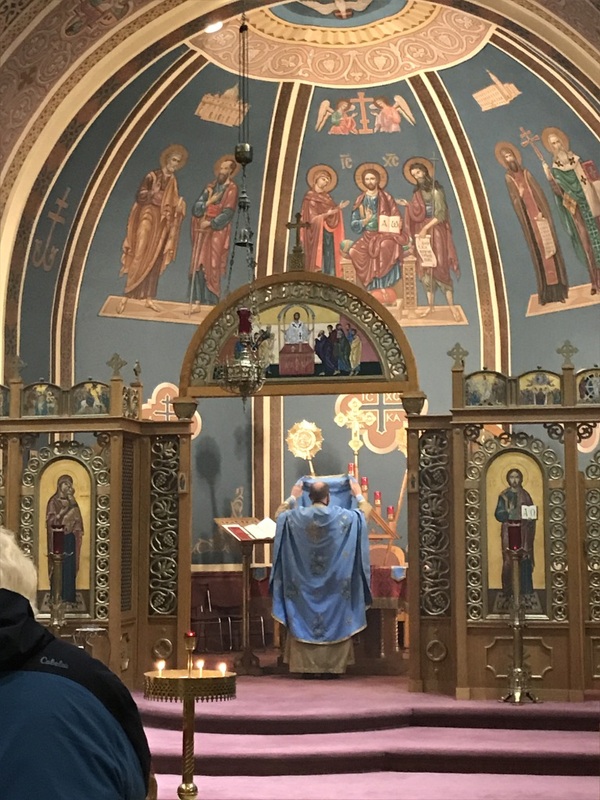 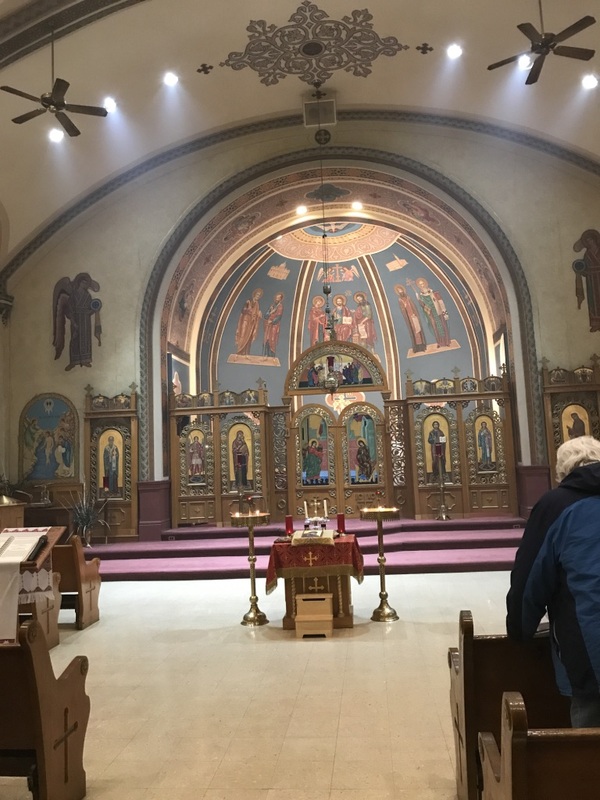 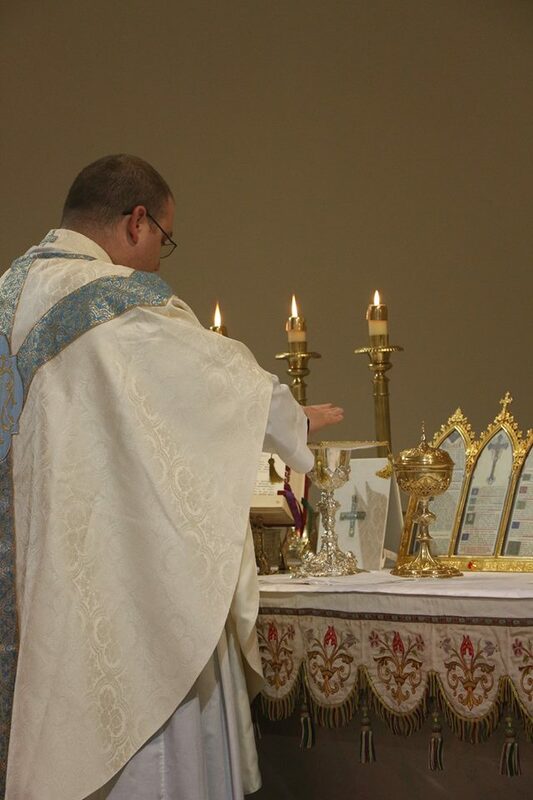 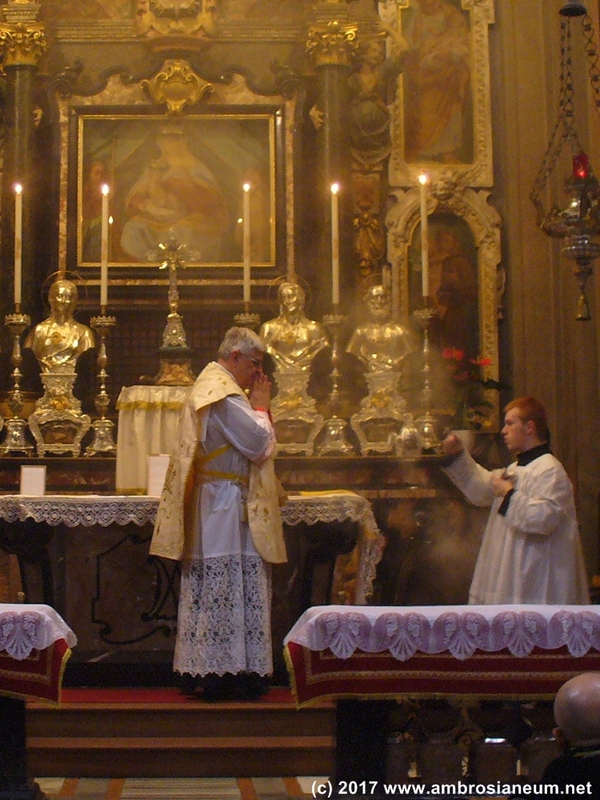 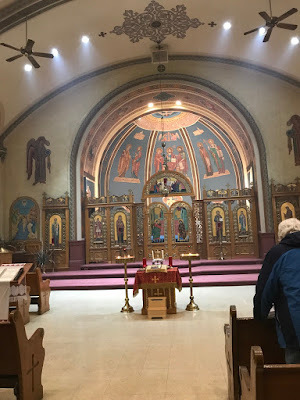 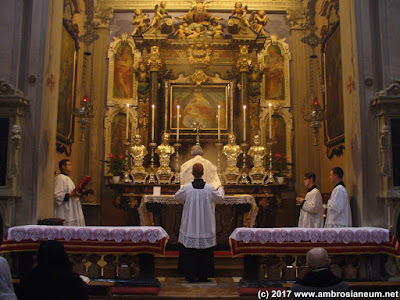 A note about Rorate Masses: we have already received several sets of photos of Rorate Masses. 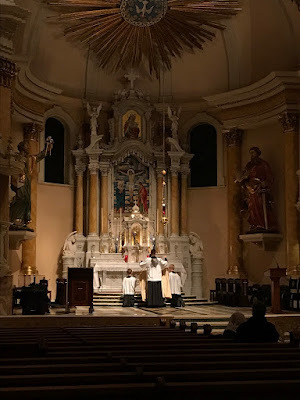 We will do at least one photopost of them next week, possibly two, which will also include photos of Gaudete Sunday liturgies and anything else that might come up for Advent. 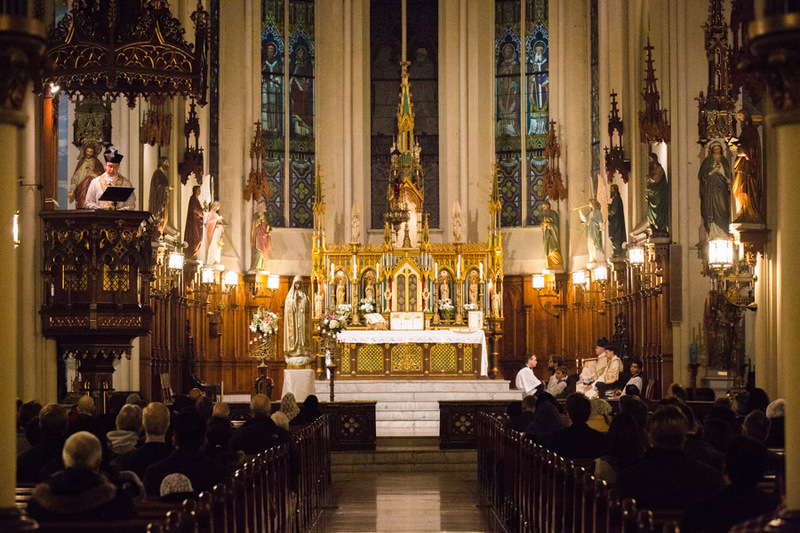 If you have already sent some in, know that we will definitely be glad to use them. 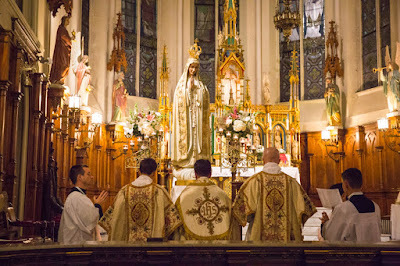 Evangelize thoguh beauty! 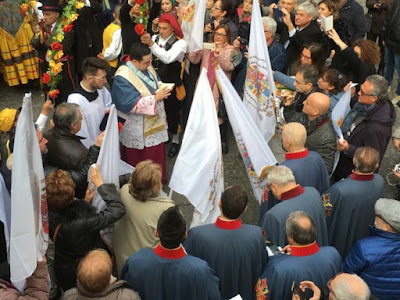 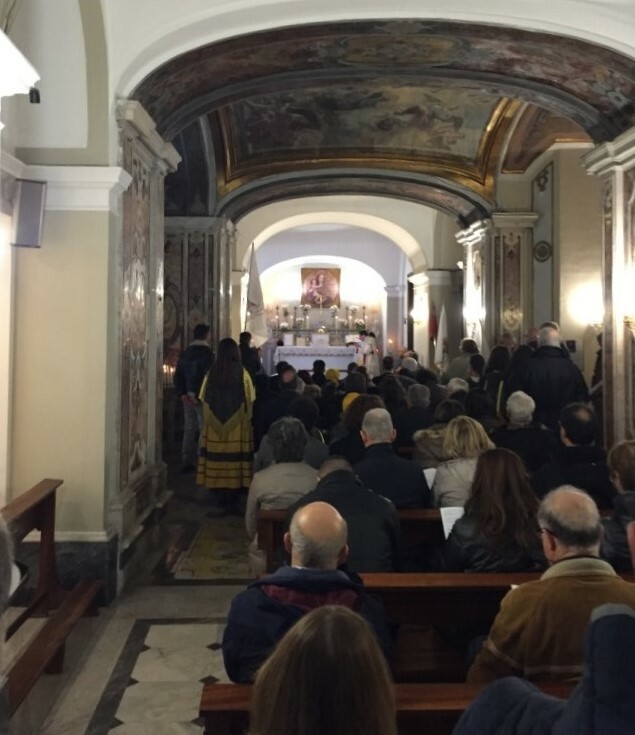 Organized by the Coetus Fidelium of St Cajetan and St Andrew Avellino and the Royal Circle Francesco II of Bourbon; celebrated by Don Giorgio Lenzi, IBP, Chaplain of Merit of the Sovereign Constantinian Military Order of St George, and secretary of the Order’s Grand Prior, Card. 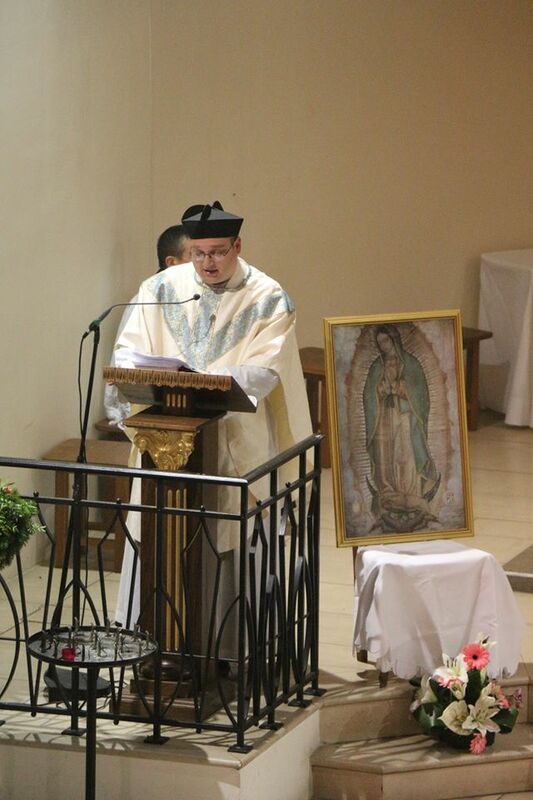 Castrillon Hoyos. 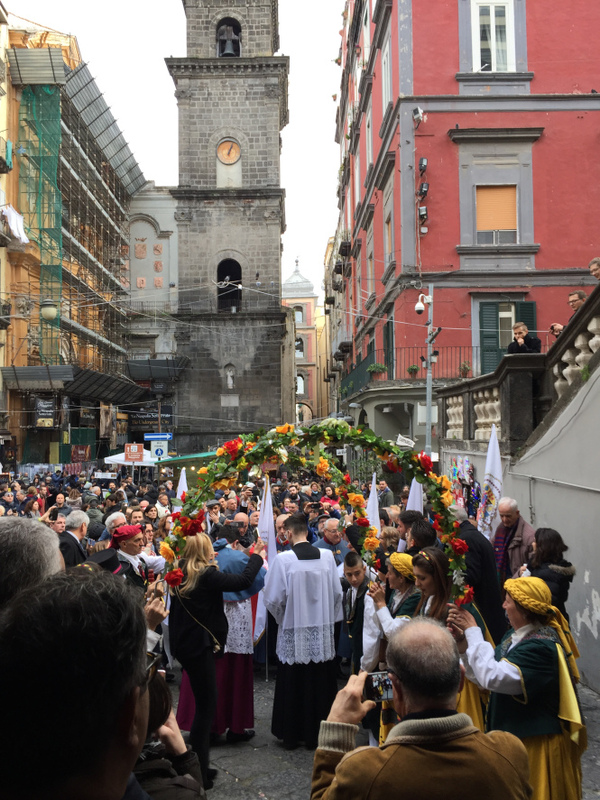 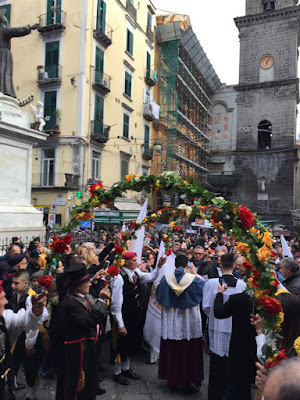 Several members of the Constantinian Order were present for the celebration, and some very nice floral decoration were set up in front of the church, in one of the city’s most crowded and chaotic piazzas. 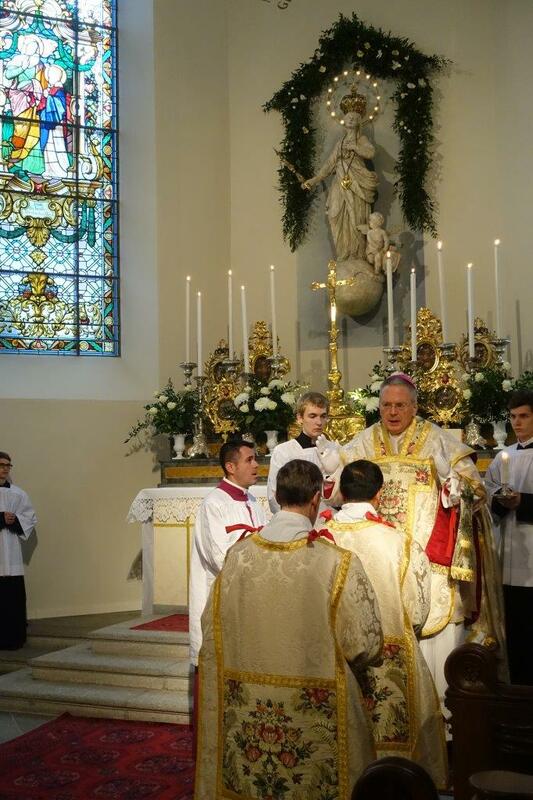 For the patronal feast, the Fraternity’s parish in the city where the order is headquartered welcomed His Excellency Thomas Gullickson, Apostolic Nuncio to Switzerland and Lichtenstein, for the celebration of a Pontifical Mass, and an evening procession in honor of the Virgin Mary through the streets of the city. 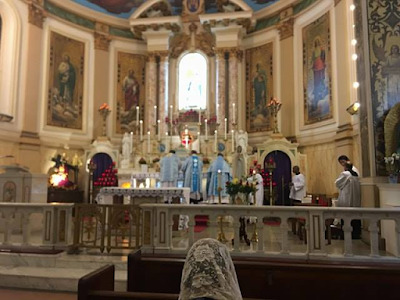 Immediately after Mass, the Consecration of the Philippines to the Immaculate Conception, which was mandated by the First Plenary Council of the Philippines, was renewed. 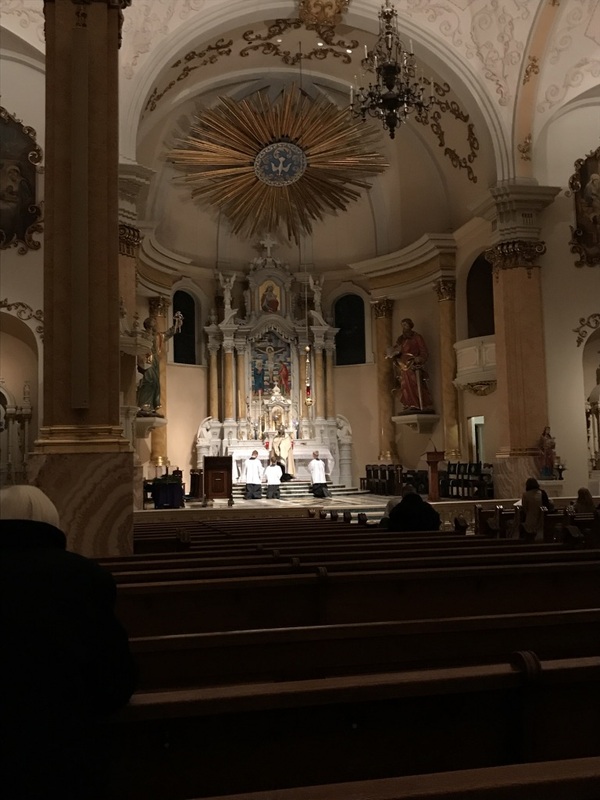 The National Night of Prayer for Life began on Friday, December 8, at 7:30 PM with Solemn High Mass of the Immaculate Conception, followed by exposition of the Blessed Sacrament. 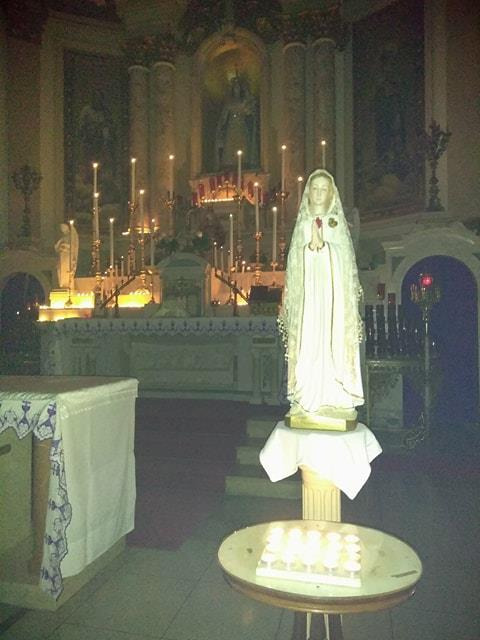 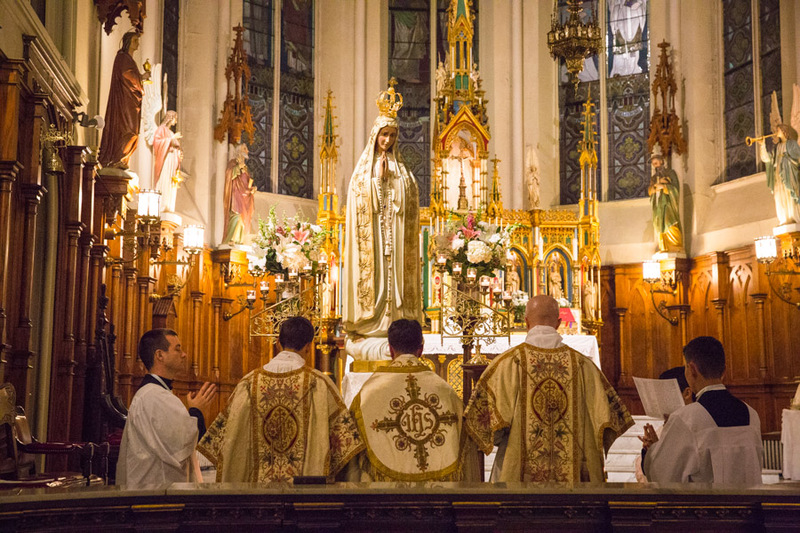 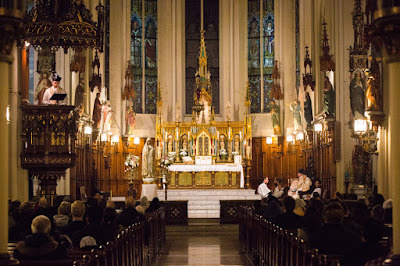 The full set of Mysteries of the Holy Rosary were recited, along with various hymns, the Prayers and Chaplet to St Michael, the recitation of Psalm 51 with arms outstretched, as part of the National Hour of Life beginning at midnight; this was observed in 20 other parishes in the Archdiocese of New York and many others around the country. 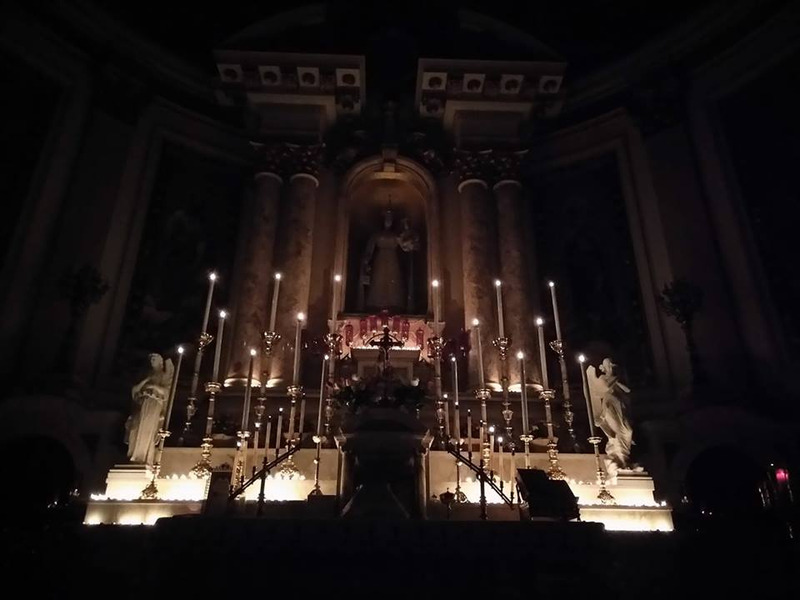 The all night vigil before the Sacrament continued with Prayers to the Holy Black Nazarene and Our Lady of Caysasay, the Chaplets of the Most Precious Blood and Divine Mercy; Adoration concluded with a Procession and Benediction, followed by a Rorate Mass. Church of the Navitity of the Virgin - La Londe les Maures, France (Fraternity of St Joseph the Guardian.